Do you have a morning routine? Part of my morning routine is that I wake up, go into the kitchen, make myself a cup of coffee, then sit on the couch to work on my blog. This is pretty much how I start every morning whether it’s a work day or I’m off. This is a good routine and it allows me to get a lot of work done but in the summer it’s a little hot to be drinking coffee in the morning. I still need my morning caffeine kick but I’d rather have a cold coffee then a hot one. 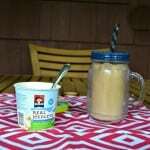 In the past I’ve made a basic iced coffee where I brew a cup of coffee, pour it over top of ice, and sweeten it with sweetened condensed milk. It’s a quick and easy way to make an iced coffee. Since I’m off for the summer I’ve been getting a little more creative with my iced coffee. I no longer have 1 hour between the time I wake up and the time I leave for work so I can experiment with my morning beverage. 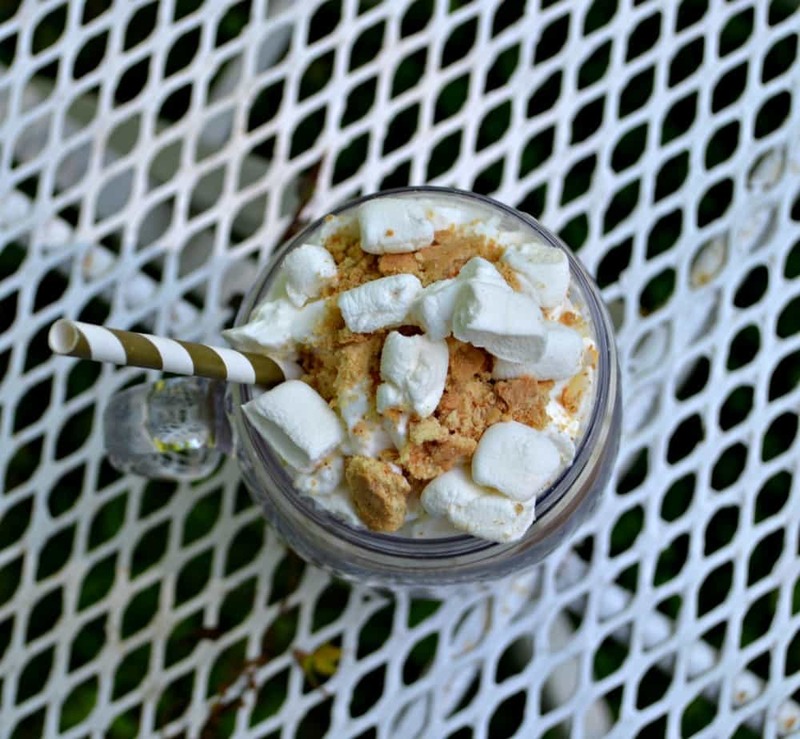 I’ve been playing around with a cinnamon iced coffee, a caramel iced coffee, and this incredible S’mores Iced Coffee. 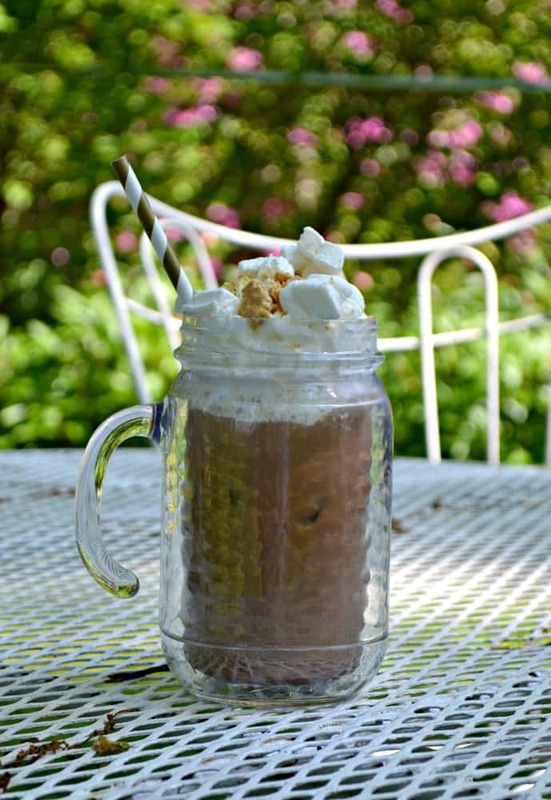 I’m sharing the S’mores Iced Coffee first because it’s fun and pretty outrageous as far as iced coffee goes. It’s not something I would drink every day because of the sweetness and calorie content but it’s certainly fun every now and then when I need a pick me up during the day or something sweet to start off my morning. 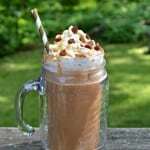 The coffee itself is a simple mocha iced coffee. 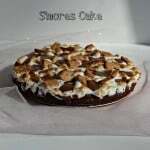 Then it’s topped off with whipped cream, marshmallow bits, and graham cracker crumbs. It only takes minutes to make and it looks pretty awesome. I took a big sip and was super happy with how it turned out. 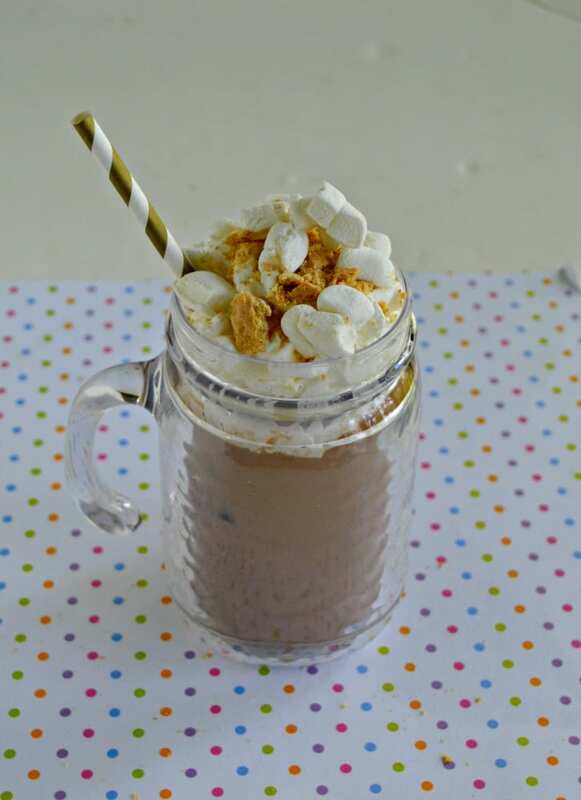 This would be a fun beverage for a dessert party or a brunch. 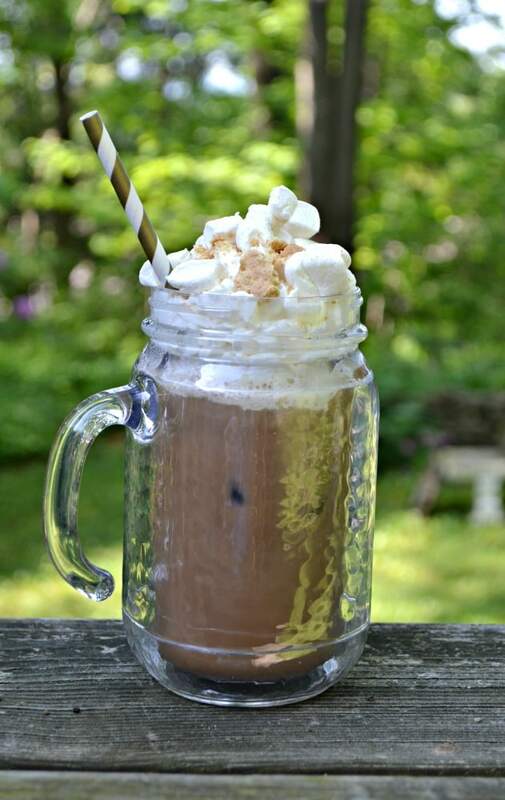 Sweeten up your morning with a tasty Mocha Iced Coffee topped with marshmallows, whipped cream, and graham crackers. Put the ice cubes in a tall heat safe tumbler. Pour the hot coffee over top of the ice cubes. Add the chocolate syrup and mix until combined. Add additional ice if needed. 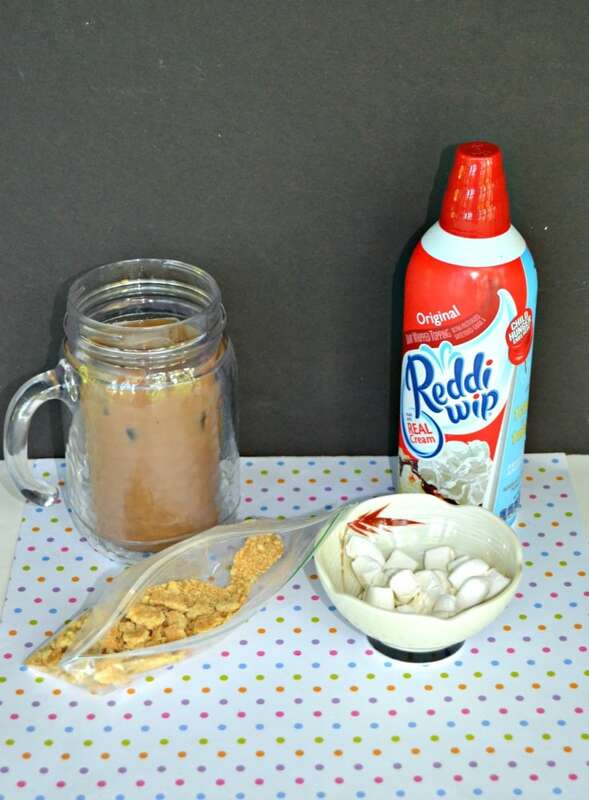 Spray the whipped cream on top of the coffee then sprinkle with the mini marshmallows and graham cracker crumbs. 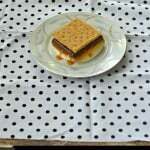 Stick a straw in the iced coffee and enjoy!